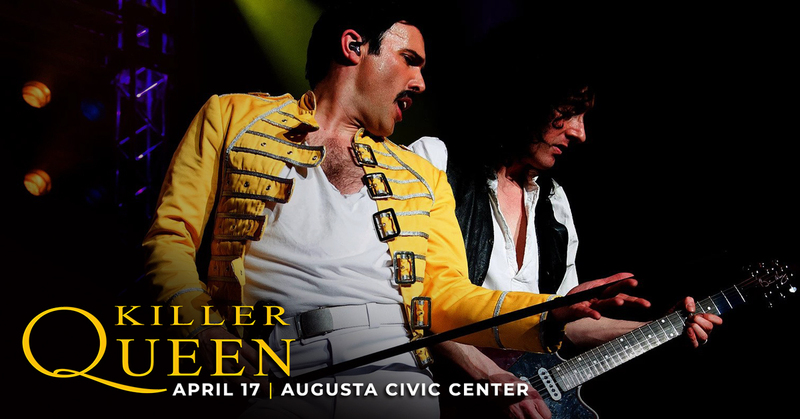 Voted the worldwide best tribute band, Killer Queen makes their 2019 US Tour debut at the Augusta Civic Center on April 17th! Queen’s music is loved the world over. Their songs have inspired generations. Recreating the songs on a world stage takes a great deal of skill and Killer Queen’s musicianship is outstanding. DON’T MISS OUR 4-PACK SPECIAL… BUY 3, GET ONE FREE! Get them at ticketmaster.com or in person at the Augusta Civic Center Box office, Monday – Friday 9:00 AM to 4:00 PM.